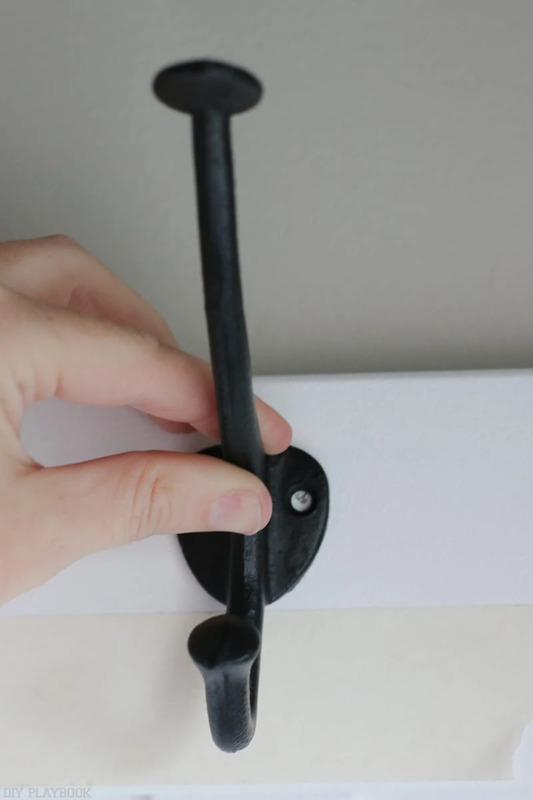 Last week I was SO proud to share how I changed my first light switch and that project was all thanks to your words of encouragement over the past few months! I still owe you guys for giving me the friendly “nudge” I needed to give my first electrical project a try. 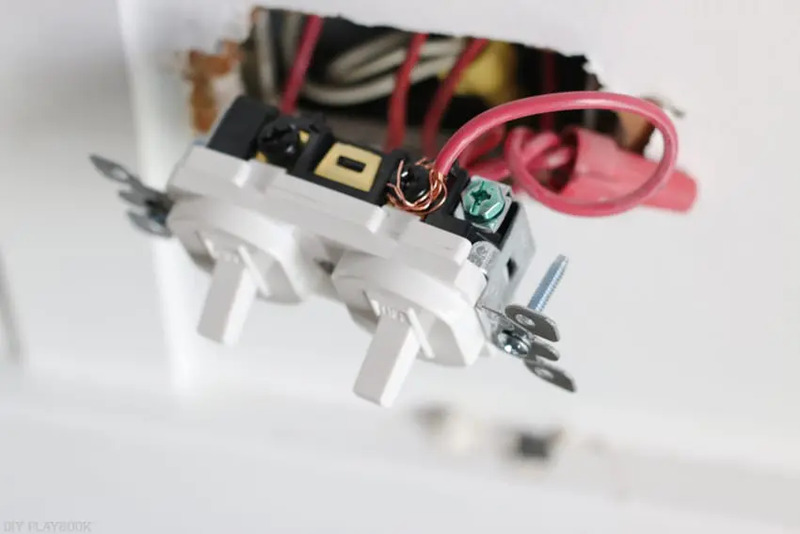 I was so focused on the rookie tips I learned along the way that I never mentioned what space was in need of a white switch + switch plate. 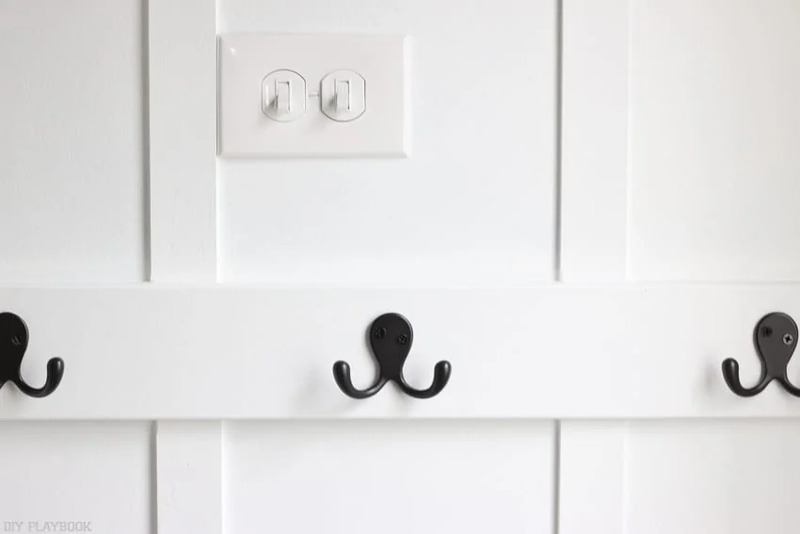 Spoiler Alert: I’ve been working on this baby wall in my Laundry Room and that’s where I installed the new light switch. Right before I went back to school for the year, I added board and batten to this tiny space. Believe it or not, this is one hardworking wall in our home so I wanted it to look more like the drop zone we already use it as. 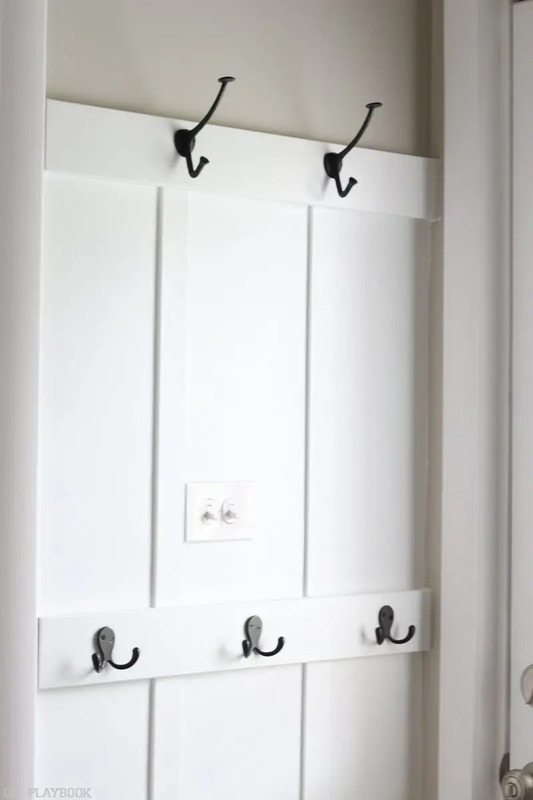 Now that I’ve done my fair share of board and batten projects (maybe too many depending who you ask), I was able to do this ENTIRE wall, including paint, in one day (minus hanging the hooks). The night before I started working, I picked up the supplies from Lowe’s. I had all of the other tools/supplies for this project, which kept the cost of this project way down. 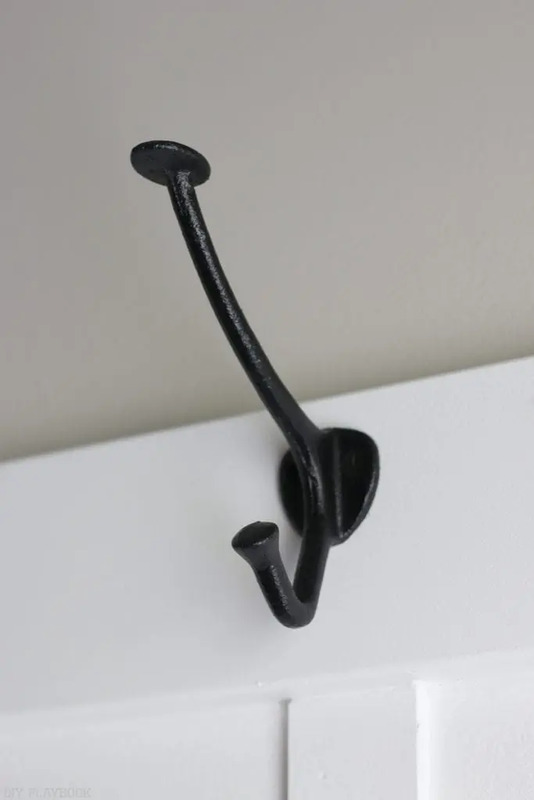 Casey gave me her leftover white paint, extra caulk, AND the 2 gorgeous black hooks on the very top of the wall. All together this entire project cost me less than $40! Because we have tackled board and batten so much on the blog, I skipped the step-by-step shots this time around. 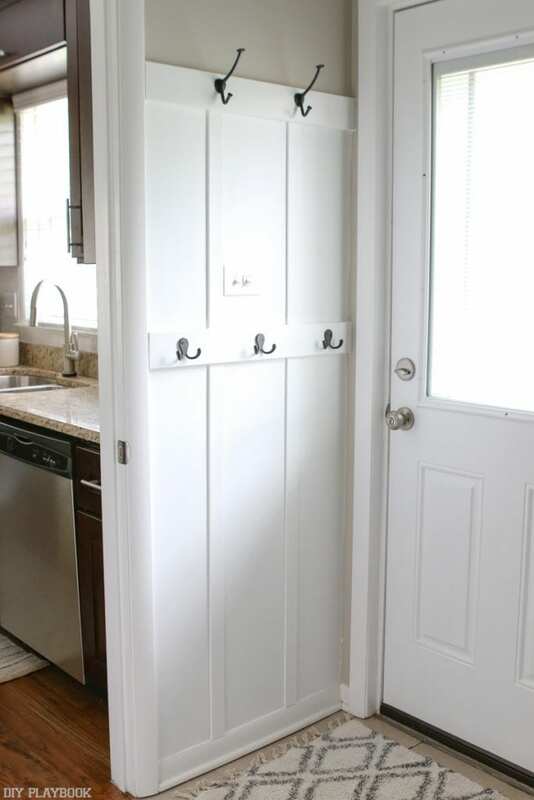 But if you are looking for a board and batten tutorial, check out this post, this post or even this post! <— wow can you tell we absolutely l-o-v-e this easy DIY?! 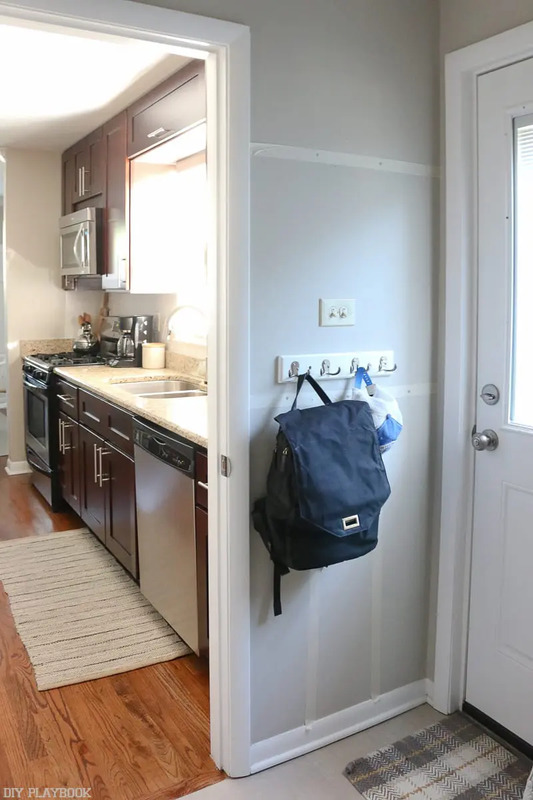 Even before this mini-makeover, we used this tiny space A LOT. Since we have a small house, incorporating vertical “storage” space is important to keep the house de-cluttered and organized. I strive to make sure everything (literally everything) in our house has a “home” and this space is usually home to our school bags right when we come home from work. It’s close enough to the kitchen for us to grab something quickly if we need to, but it’s tucked away behind the laundry room wall so we never see the clutter. 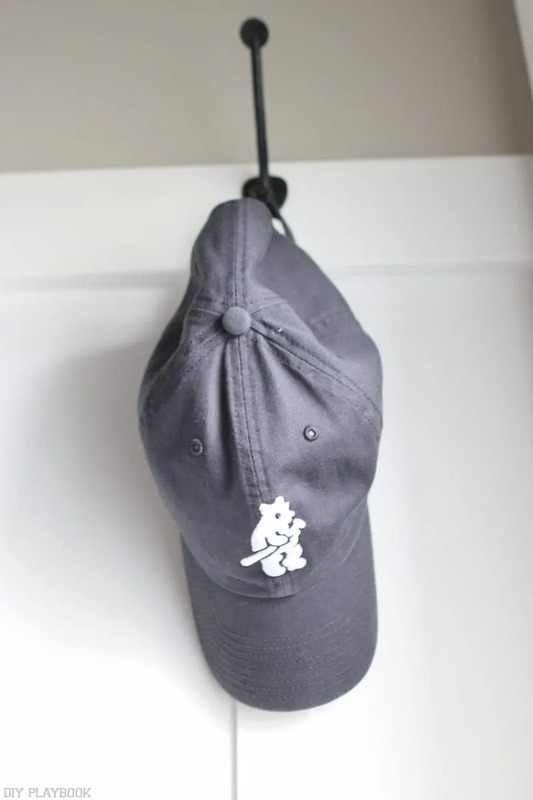 And although it seems weird to put hooks so close to the doorway, hanging stuff here somehow works for us. We have another door that leads outside to our patio so we don’t use this “side door” very often at all, which allows us to hang stuff on this wall without being hassled. 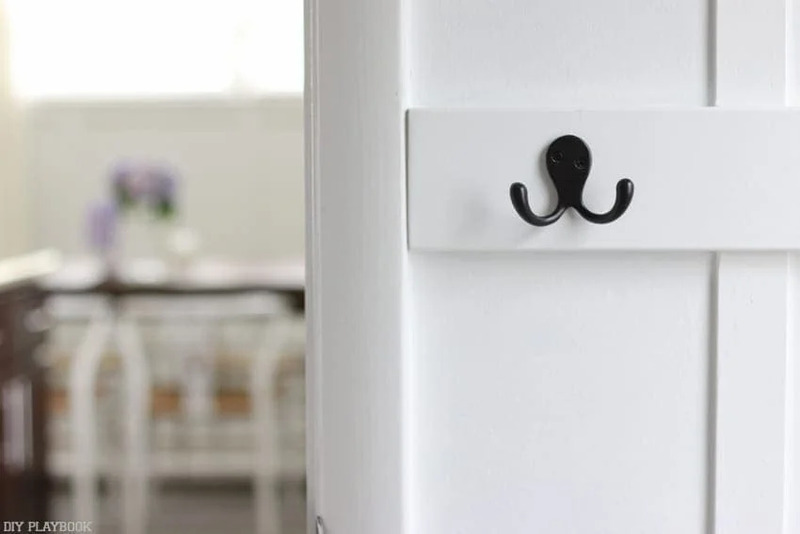 I am glad that we lived here a few years and established these routines before diving into this project, because putting hooks or a mini drop zone so close to a door may not work for everyone. This project was SO WORTH the $40 and a summer days work! 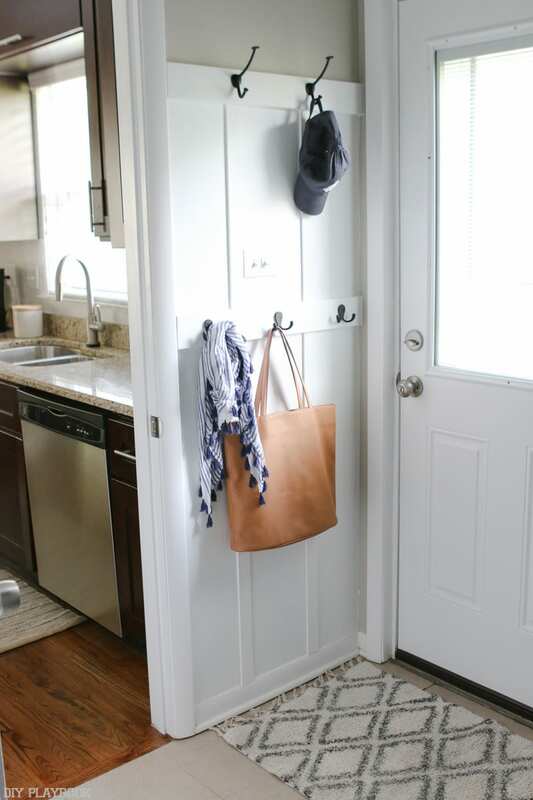 This laundry room nook has always worked hard for us, but now it works hard AND looks good, which makes me really happy with how this project turned out. 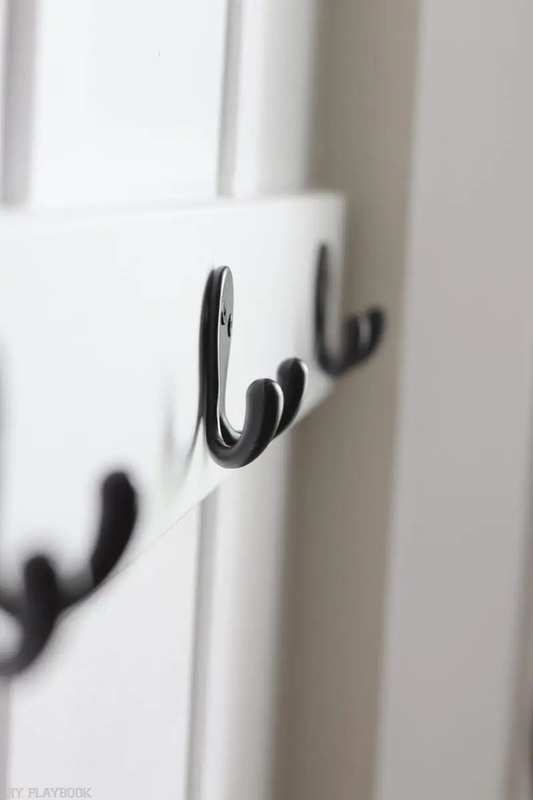 And note to self: if I ever have a formal mudroom in my next home, I know for sure that board and batten plus black hooks will definitely be a part of it. I’m officially in love with this classic combo.